Out of nowhere, it would now appear that Apple is planning to unveil a Red edition of its iPhone 8 and iPhone 8 Plus smartphones launched last September. According to MacRumors, who obtained an internal memo that was distributed to Virgin Mobile employees earlier this week, Apple wants to release limited edition (PRODUCT)RED color iPhone 8 and iPhone 8 Plus models as soon as early next week, if the internal note is to be trusted. 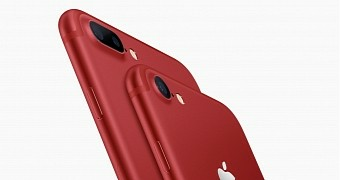 Apple did a similar thing last year in March when it unveiled a (PRODUCT)RED edition of the iPhone 7 and iPhone 7 Plus smartphones in an attempt to contribute to the Global Fund to Fight AIDS, so now that the iPhone 8 and iPhone 8 Plus sales have been eclipsed by the much cooler iPhone X model.